Brendan came out for several days and helped me get my framing off to a good start. We got the sills down, one lower wall completely framed and a good portion of the other three walls done as well. I’m building the walls in place instead of tilting them up because the raised sill makes tilting them into place a challenge. It’s also easier to manage with a small crew, and I don’t have to wrestle a complete wall onto the anchor bolts. 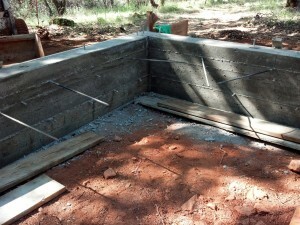 The foundation is finished! I took a look at it today, and checked the position of the piers. Everything looks pretty good, and I should be able to start framing next weekend! 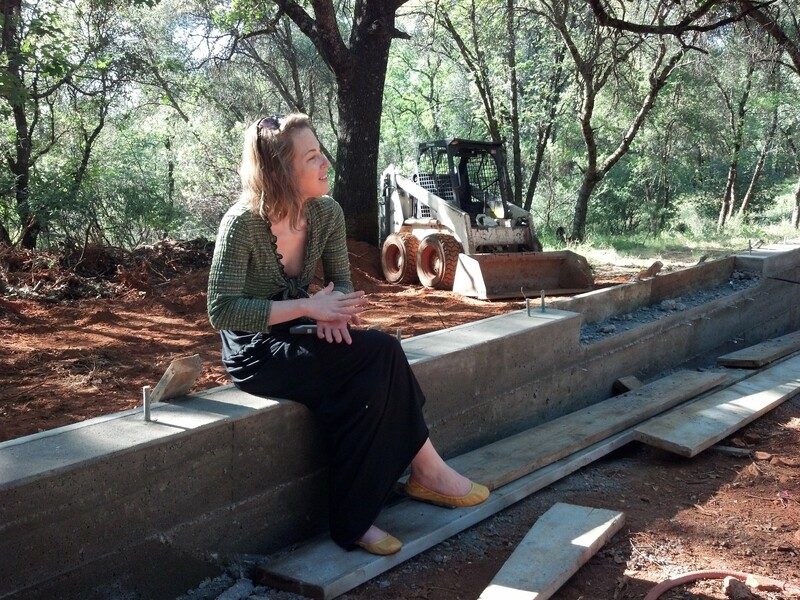 My slab and stemwalls are done, and ready for framing! I took several pictures before this one, but the mottled light filtering through the trees is kind of a photographic nightmare. Either the highlights are overexposed, or the shadows are underexposed. It makes it hard to see anything in the photograph. Anyway back to the barn. There are four piers and two small pads left to do, as described in the previous post. Anthony should finish those up this coming week. Then on to the carpentry! The foundation crew used up most of the water in my 1,100 gallon tank. I checked it and there was a little less than 100 gallons left. I gave the neighbor twenty bucks to let me fill the tank from his well, which took about three hours. My engineer left the exact details of the footings and piers for the stairs and deck a little vague, so that I could adjust them to fit the site. That works fine if it’s just me fooling around with the concrete forms, but since I decided to subcontract the foundation work my guy needs to know exactly where they go. I spent a couple of hours figuring it all out, and putting together an illustration depicting exactly this. I’m not really a draftsman, but I think I managed to get everything in there. 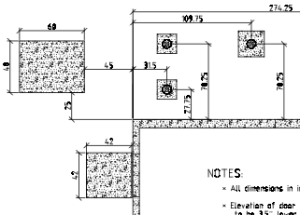 So I was looking over my barn plans, trying to work out exactly where to tell Anthony to locate my deck post footings, and I found a problem with the framing connectors. 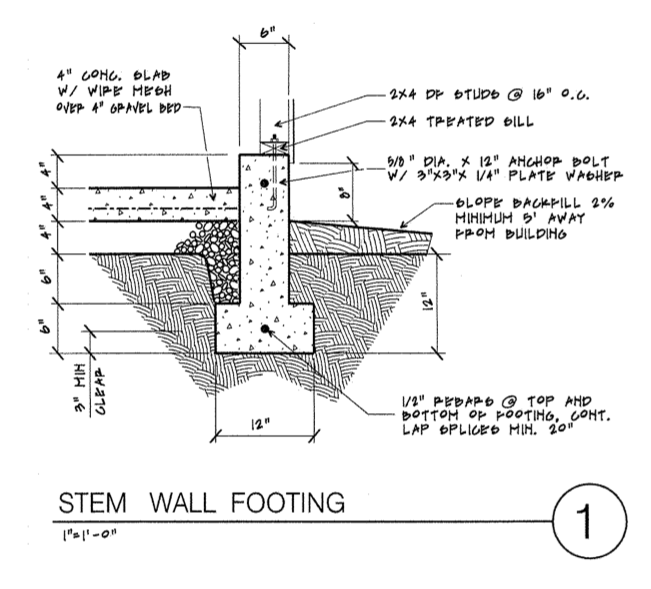 As drawn, the plans indicate a Simpson column cap where the supporting column holds up the deck beam, and they also indicate a beam hanger at the same location. Those two pieces of hardware won’t be able to both be installed in the same place. I’ll need a left-hand and a right-hand one for the two sides of the deck, and presto! It should all fit together just fine. While I had him on the phone we also discussed some of the details for the deck railing. 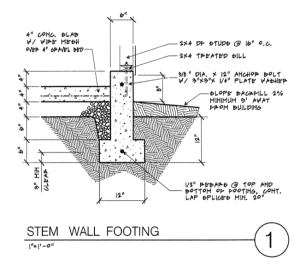 He recommended a Simpson BC8 post cap to anchor the railing post on the center of the right-side beam. I’m mostly sharing all of this here so that I can come back and reference the part numbers later on. There is sort of a general interest lesson though, which is that there’s no such thing as joinery anymore. It used to be that carpenters would spend lots of time cleverly carving the ends of beams so that they would fit together just so, and make a strong joint. Except for aesthetic reasons nobody does that anymore. Most modern construction makes extensive use of metal connectors to join the wood framing lumber together. It might not have the sublime beauty of traditional construction, but the steel connectors make for a stronger building. The Magical All-Purpose Column Cap is going to cost me like about $375 each, and I need two of them. I’m not particularly thrilled with that pricing, but it does at least solve the problem. 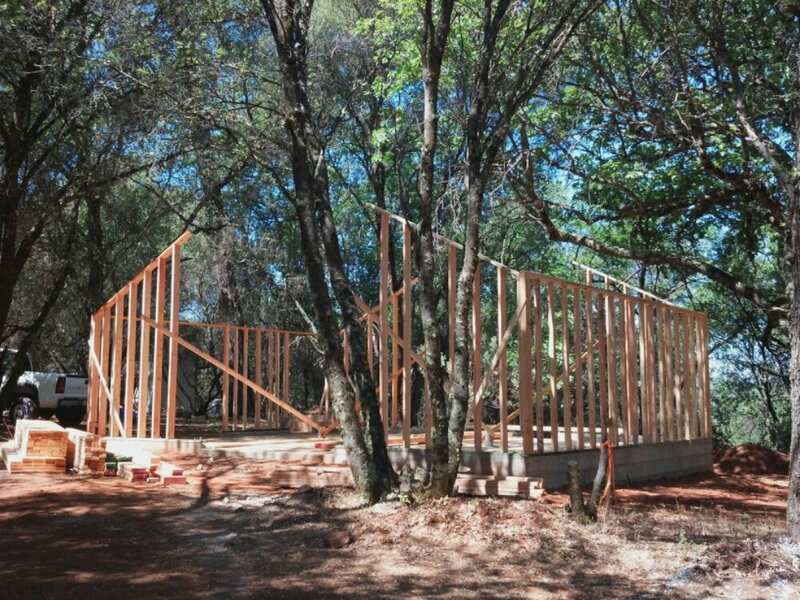 Despite continued failings in my futile effort to buy a house in San José, the barn project is coming along great! 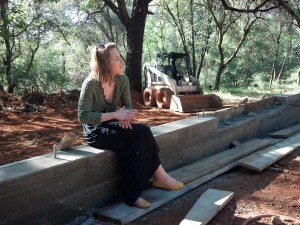 I just spoke with Anthony on the phone, and he’s finishing up the slab right now. 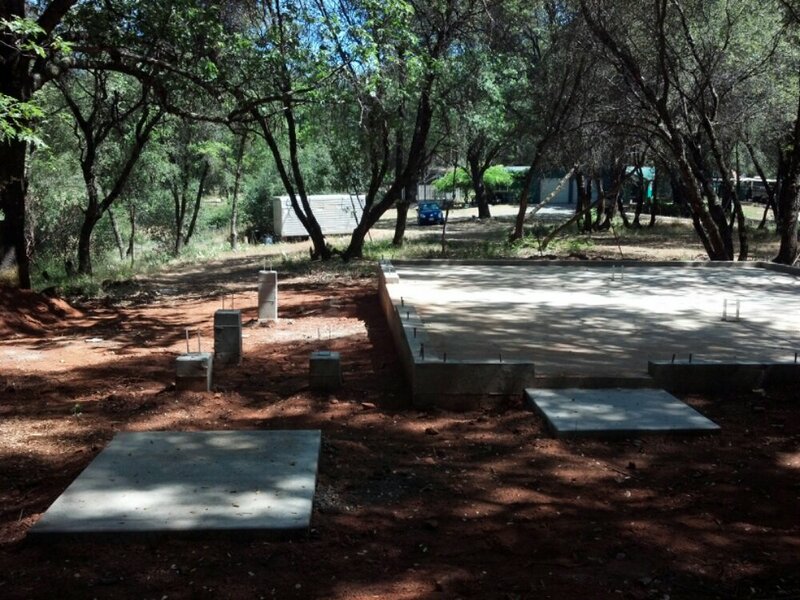 All that’s left for the foundation is the deck and stair piers, and the small slab in front of the walk door. They look pretty good. 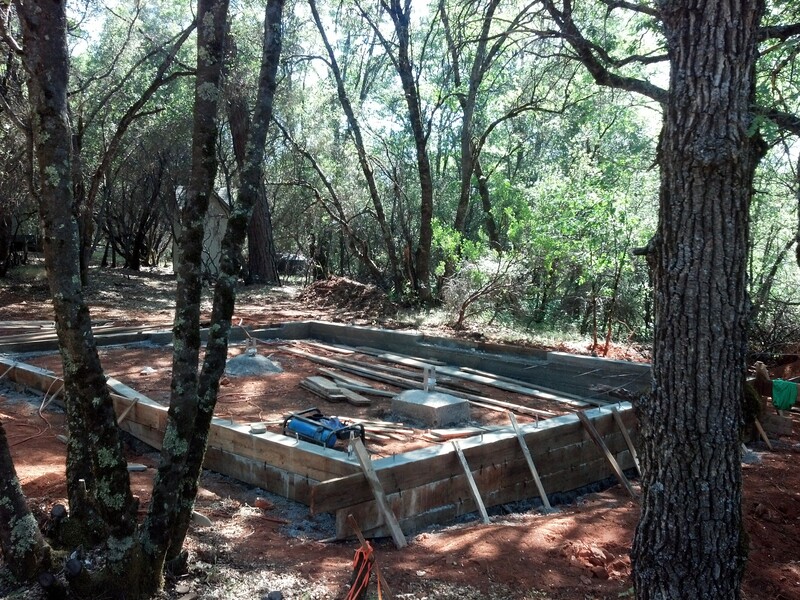 Anthony should be back next week to add fill and pour the slab, and then the barn will be ready for framing! I’m excited! There will need to be some more work done with the deck and stair piers. The stair piers in particular need to be adjusted because the location is dependent on the stair length. That’s not specified in the plans because it will depend on the site slope. Anthony called me this evening, he’s all set to pour the stemwalls tomorrow. 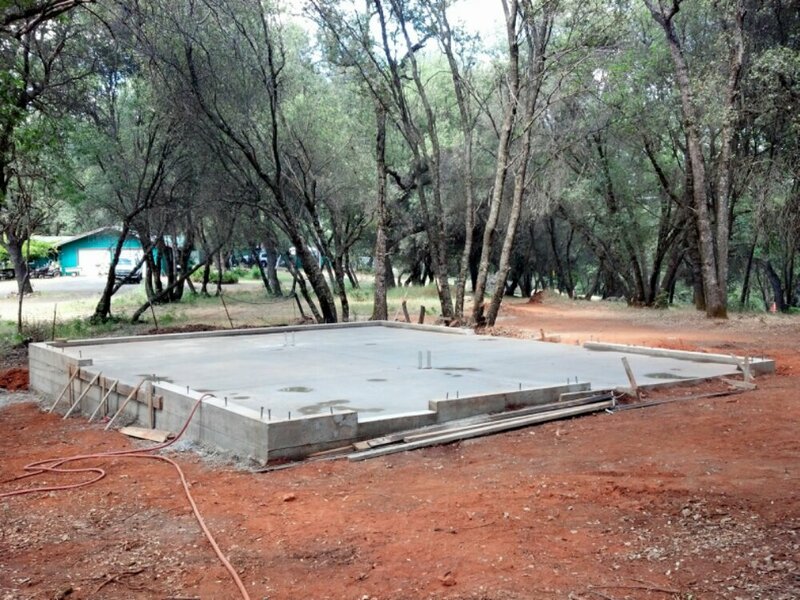 I imagine that he will place and compact the fill next week and then pour the slab roughly midweek. He recommended adding felt on 2 sides of the slab to allow for some movement. I’m all for that. He had the inspector out to look at the concrete forms, and everything’s approved and ready to go. Where Do These Form Boards Go? Things are moving right along with my foundation! Anthony is awesome, and almost has the forms done for my stemwalls. He called me today to get clarification on a few items which weren’t very clearly labelled on the plans. No pictures, since I’m in San José. He thinks that things are moving right along with no disasters so far, and that he may be able to finish as early as the end of the week!